Last week as I was aimlessly browsing around the sections of Vancouver Public Library, I suddenly remembered an old book I always wanted to read – “Serpent and Lily”. This is the first literary work of Nikos Kazantzakis and I wondered if VPL would have a copy of it, since it hasn’t been re-published for decades, and copies of it are scarce. Luckily, there was one wisely resting on the shelf. “Serpent and Lily” appeared into this world in 1906, while Kazantzakis was still a student in University of Athens. The first sore routs of the unrequited love are not only the inspiration of the author to write the novel, but also the salvation of the demonic influence of this devastating love on his soul. In this literary work Kazantzakis transforms himself in an inspired artist and by the natural laws of existence meets his beloved who morphs into a muse, a flower and a demon in the heart of the artist. “Serpent and Lily” is a diary-novel, intimate and poetic where the main character suffers the euphoria, the obsession and the corruption of his passion. The narration resembles an ancient Greek tragedy, where the characters wrapped in a shroud of the mystery of time, walk the path of understanding their own feelings. This aspect is peculiar to Kazantzakis’ works, where the inner sensation and perception of the world, the formation, the life and the death of feeling is manifesting over events and story lines. 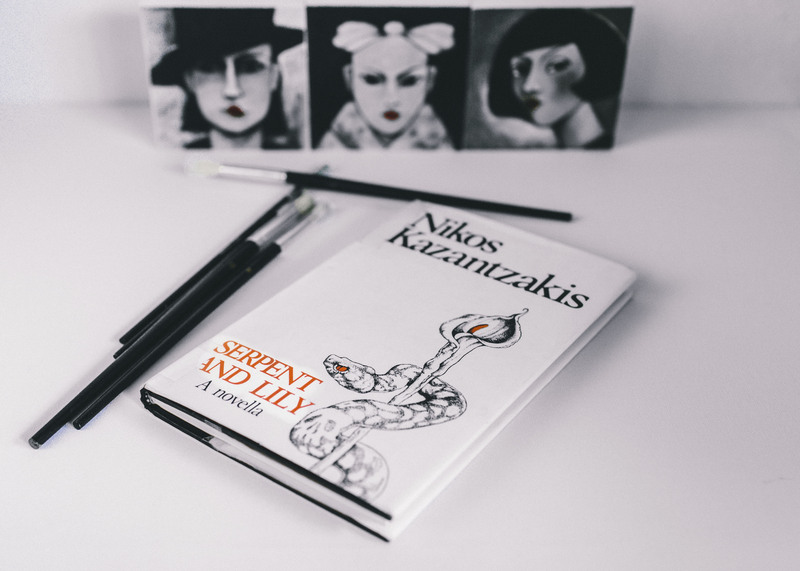 “Serpent and Lily” is Kazantzakis’ aspiration to engage art and philosophy through the elegant form of the verbal expression. An ambition which once born becomes а distinctive signature that encompasses his works. Kazantzakis draws inspiration from the worlds inhabiting his soul – from the murkiest abyss to the rising of the spirit. “I sense that the thing I am seeking is higher than love and higher than the joy of life and higher than science and glory and higher even than starts. Don’t keep my wings tied in Your embrace.